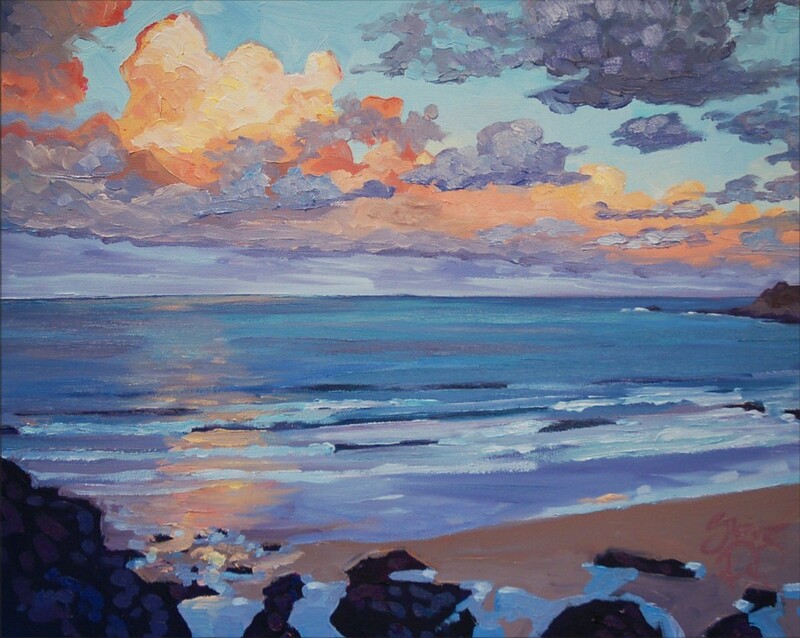 Steven Pleydell Pearce Fine Art Floating Gold Woolacombe Beach painting by artist Steve PP. Floating Gold. An early morning sunrise warming the clouds up over Combesgate next to Woolacombe Beach.